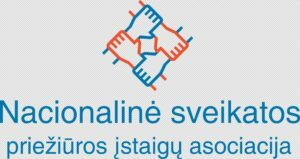 The Lithuanian National Association of Healthcare Organizations (Nacionalinė sveikatos priežiūros įstaigų asociacija) is the Lithuanian member of HOSPEEM. Founded in 2001 the Association represents 10 health care organizations and its members employs till 12 000 employees. The Lithuanian National Association of Healthcare Organizations coordinates and creates healthcare and policy strategy in collaboration with the Lithuanian Parliament, Lithuanian Government and Ministry of Health to achieve better healthcare for patients and to support healthcare reforms in Lithuania.